Learn how the fingers are named and abbreviated. Learn the proper fingerstyle hand position. 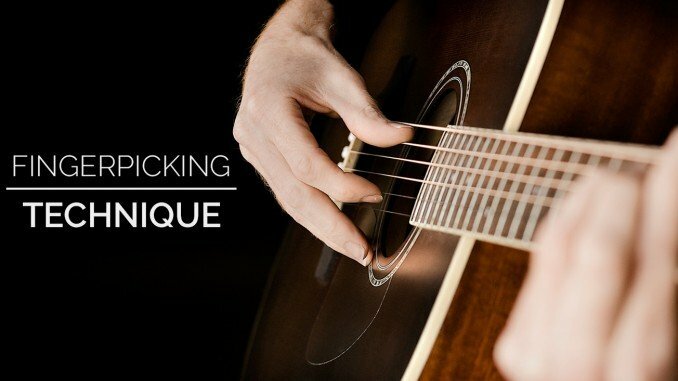 Fingerstyle is the technique of plucking the strings with your fingers instead of a pick. In classical fingerpicking the thumb is used to play the bass strings (4, 5, and 6). The index finger is used for the 3rd string. The middle finger is used for the 2nd string. The ring finger is used for the 1st string. When playing fingerstyle, position your hand so the fingers are perpendicular to the strings so you can strike the stings easily. To do this, the thumb should be in-front of the fingers (closer to the headstock). This hand positioning is very important for several fingerstyle techniques. The classical hand position rests the fingers on the strings that they play. Since the thumb is used for strings 4, 5, and 6, it usually rests on the 5th or 6th string. In this example, the chord is played as an arpeggio. This means that the chord is played one note at a time instead of at the same time. This exercise will help you play some basic finger picking patterns. Focus on using the fingerings given above the staff. When picking, try not to pull the strings away from the fretboard so they pop. Though, this is sometimes used for a percussive effect, it is not usually a desired sound. In this exercise, we will play multiple strings at the same time. 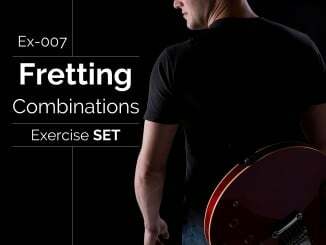 This exercise focuses on the technique of brushing your fingers across multiple strings. To execute this with your index finger, use the face of your fingernail (the part that people use nail polish on) and brush it against the strings by straightening your finger. Your finger should fully extend and point towards the floor when you complete the brushing motion. In the exercise below, you will execute a brush stroke on beat 2 of the first four measures by brushing strings 3, 2, and 1 (in that order). This song uses arpeggio patterns throughout the song. Enjoy this folksy classic. Named after Merle Travis, this is one of the most famous fingerstyle techniques. When using the technique, the thumb alternates between bass strings (strings 4, 5, or 6) while playing steady quarter notes. While this is happening a melody is played using the higher strings (1, 2, and 3). The first step to Travis Picking is playing a steady bass line. Practice this example until you have it precise. This example adds a melody note on beat 1. Specifically, this adds a note to be played with the middle finger. To complete the example, we’ll add the rest of the melody notes. Travis picking is not limited to the pattern I showed you. You should be able to recognize it in fingerstyle songs. If you’re writing music, consider using it. Most of all, just have fun with it. Thanks again for reading one of my lessons to the end! If you liked this lesson, there is no greater compliment than to follow me on twitter and like me on facebook. You can find links to do that on my contact page. 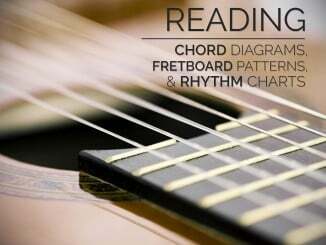 Now that you know fingerstyle basics, seek out songs that you can practice. Blackbird by the Beatles, Dust in the Wind by Kansas, Tears in Heaven by Eric Clapton are all great songs to play. 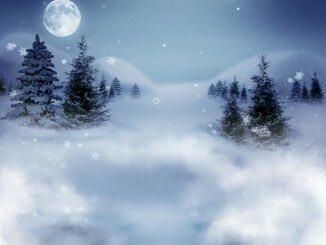 You can also find a lot of classical arrangements. I will be posting a couple of my own arrangements soon, so check back often! Good article.. got info about brushing clearly in short.. Thanks for the kind words. I’m glad you enjoyed the lesson. Let me know if you have any questions. This is really helping me learn guitar. I would be interested in knowing if there is a group of fingerpicking guitar players that get together on a regular basis. I live in Sandy, UT and would like to attend such a gathering. I hope this comment helps you find a group of guitarists. Playing with others is always fun (and motivating). I recommend asking someone in your community that is tuned into the local scene such as a local teacher, guitar store owner, or a local band. Good luck! Peter, thank you for the question. Some people brace their picking hand’s pinky finger on the top of the guitar. Others rest their forearm on the top of the guitar. Of course, regular practice will also steady your hand by allowing finer hand and arm movements. I hope this helps! Thanks for such valuable information shared in easy and fun to learn way.I have also started to try my hand on fingerpicking and i want to ask you whether i should attack the top bass strings with fleshy part of thumb or the part close to nail.As i keep hitting the A when i want to hit E and D when i want to hit A and so on…Please suggest. This is a good question. Some people grow their nails to use them. Some use wearable fingerpicks. I use the fleshy part of my thumb. I typically pluck near the top of my thumb on the left side near the nail. You can adjust your hand to pluck at different angles. I hope this helps! Excellent information as usual, I am just a beginner but it’s great there’s always content I understand, and plenty I feel I can come back to after other lessons to get on a deeper level! thank you for another encouraging lesson! Thank you for the kind words. I’m glad to hear my content is working for you!